I didn't look for them on tire rack as my dealer stocked them. I think the r8 is the best car I've owned. N/A motor, 6sp, 8500 redline, exotic looks. First car I did not get tired of. 07 gt3, 07 rs, 10 rs. If I don't love this 991 gt3 I will go back to an r8. I actually liked my v8 r8 better than the v10. Both had exhausts, which were great, but the v8 felt/sounded better. Faster revving, little lighter. Not as fast as the v10 but a fun, fun car. 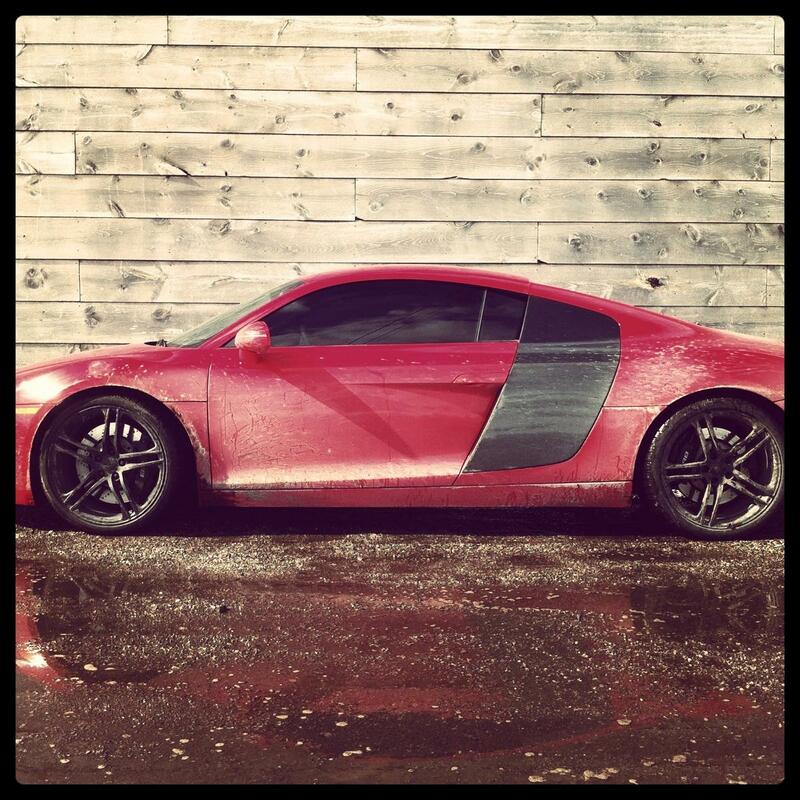 Winter tires and the r8 is a great bad weather car. I drive a pickup in the really bad weather, but won't hesitate to drive my cars year round. I don't have garage queens any more. Life is too short. Lumber: I may try to get across to Highland Park today if I can but it's quite a hike from downtown where I'm based. Thanks for the info and enjoy in good health! Anyone giving up your build?